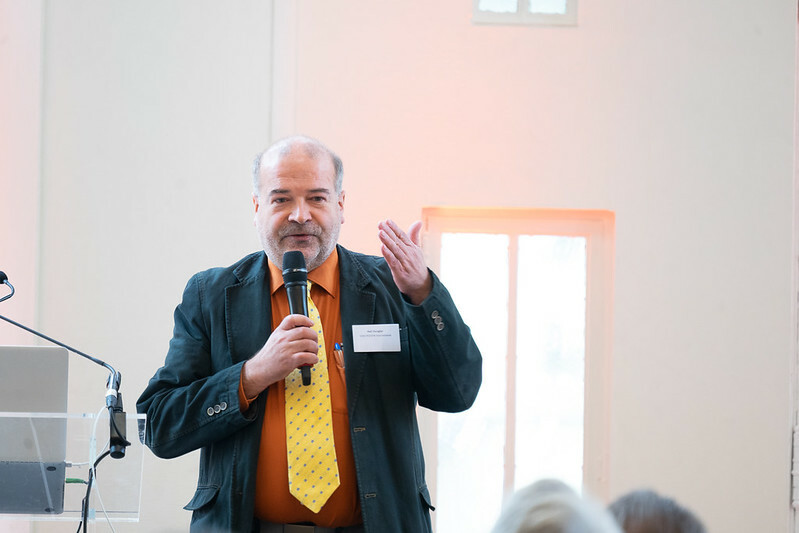 On 21 November, the Austrian Presidency, Eurogroup for Animals and Four Paws International’ gathered over 120 experts and stakeholders from across the industry in a conference entitled “The Illegal Online Puppy Trade: towards a safer EU for animals and people online”. Throughout the day, veterinarians, breeders, lawyers, politicians and NGO representatives pulled their head together to examine the challenges raised by the illegal online trade of dogs and showcased solutions from Member States and the online classifieds market, while pointing to political opportunities for regulation in the EU. This conference is timely, as the European Commission is starting to unfold its plans for specific rules thanks to powers under the Animal Health Law, which could restrict the space for this the illegal trade to operate. The review of the European consumer legislation also creates opportunities to better regulate online platforms and protect consumers. “The issue of the illegal puppy trade has been high on the political agenda at EU and national levels for several years now, and it is something that has been raised amongst the Chief Veterinary Officers on a number of occasions. Tackling this trade is a priority for the Austrian Presidency, and the conclusions from today’s conference will be outlined to my fellow Chief Veterinary Officers at our next meeting in December”, said Dr Ulrich Herzog, the Chief Veterinary Officer for the Republic of Austria. “It is important that we look at how further actions can be taken, both at European and national levels to combat this illegal trade, and today’s conference is key for exchanging ideas and best practices of how this can be done”. The numbers of dogs being smuggled has grown exponentially over the past decade, fuelled by a consumer demand for certain breeds, an increase in online classified advertisements, and a pet passport system which currently does not work. It has never been easier to buy or sell a puppy online, more often than not, at the cost of the buyer’s emotional peace. Transported for long journeys, newborn puppies suffer from heat or cold, thirst and stress, are at high risk of transmissible disease, and those surviving often becoming poorly socialised and unmanageable for their new owners which leads to the puppy’s swift abandonment. As the European Parliament already stated in February 2016, illegal puppy trade is not only an animal welfare issue. It is the third most profitable organised crime within the EU after narcotics and weapons and a massive public health risk. The puppies are produced under appealing conditions and usually not vaccinated. Many, if not most, carry severe diseases and therefore pose a real threat to animal and human health. “Through the #thankseBay campaign FOUR PAWS has been calling on online platforms to strengthen their policies and restrict the anonymous pet trade taking place on classified ad sites. Experience shows however that self-regulation cannot solve the problem of illegal online puppy sale. This needs to be completed by a solid legal framework enhancing traceability of operators and animals.” says Helmut Dungler, CEO of FOUR PAWS International. Quite symbolically, the conference date coincides with the first year anniversary of a joint declaration by several Member States showing a willingness to act together. Belgium, Denmark, Germany, the Netherlands and Sweden had through the Declaration called on the European Commission to undertake measures to stop the illegal trade in pets across the EU – particularly with regard to the smuggling of dogs across Member States. Meanwhile the Netherlands has set up a dedicated sub-group under the EU Animal Welfare Platform on the health and welfare of pets.